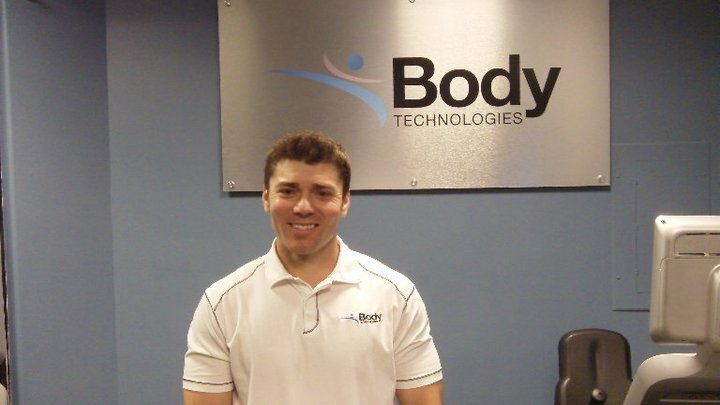 Meet Body Technologies Trainer, Gary Wolf! 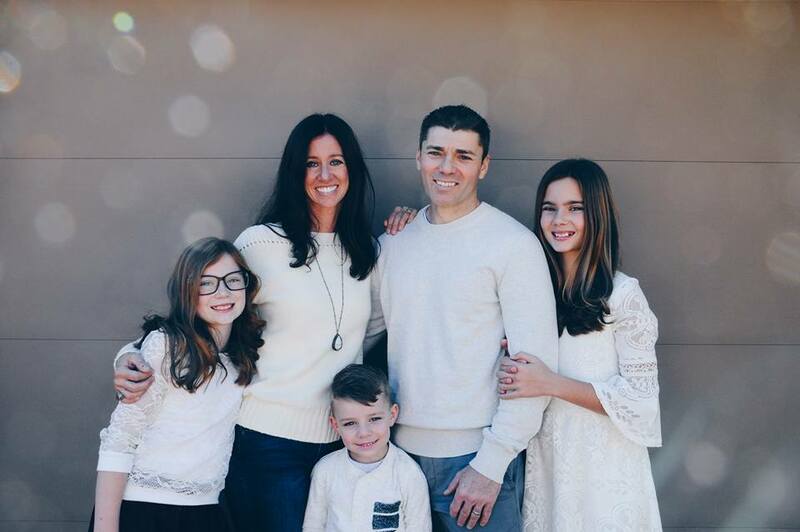 Gary Wolf has been involved with Body Technologies since its inception in 1996 when the company was traveling to local health clubs and spas conducting body composition testing with the BOD POD. 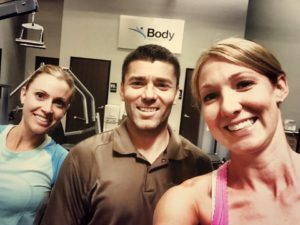 As one of the co-founders of Body Technologies Gym in 2007, Gary has used his personal training skills to help hundreds of clients lose body fat and gain lean weight. I have always been interested in exercise coming from a baseball family. I played football and baseball growing up before finally settling on baseball for my college career. That was kind of easy as my dad played at ASU and my grandfather was a professional player back in the day. I am sure at one point he told me that he had played against Shoeless Joe Jackson from the infamous Chicago Black Sox scandal. 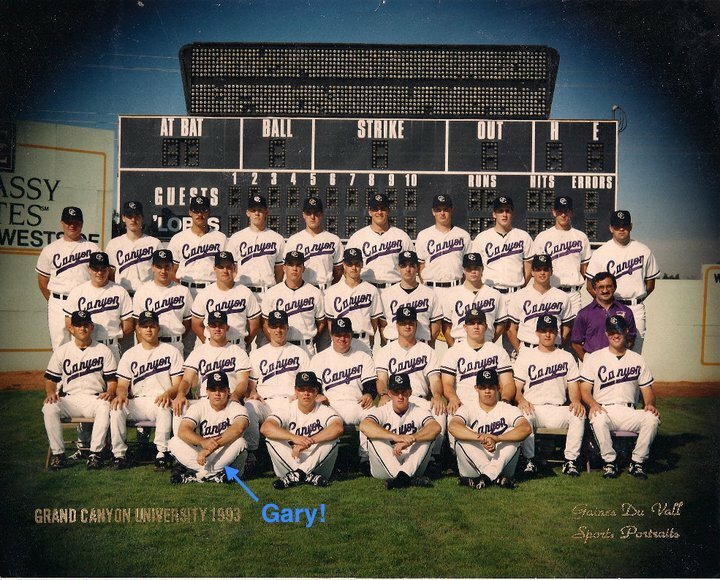 Once I was done playing baseball at Grand Canyon where I studied exercise science, I began to really fall into stride with helping others work on their fitness. When you are athletic as a kid, growing up with coaches helping you and motivating you, it is easy to forget how hard it is for those who don’t have any help. Being a personal trainer really allows me to help those who need it. I currently train clients from a variety of demographics, including kids, young adults, and some older ones too. Having the ability to work with a variety of clients helps me deal with the unique needs that people have. 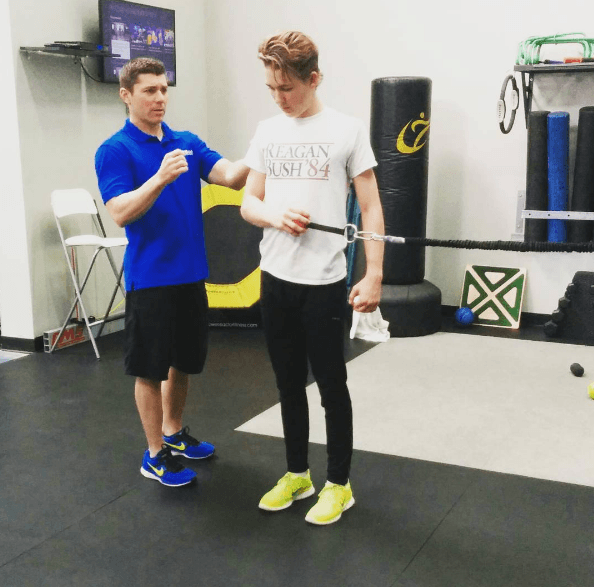 Biomechanic anomalies that you see with one person can really help you identify problems with others, even if they are in a different demographic. You can never stop learning and applying that to program development. How have you adapted over the years to help your clients reach their unique goals?! Being flexible is a critical attribute to have as a personal trainer because our field is relatively new. Sure, working out has been around since the Greeks, but the real science has only really picked up momentum in the last 20 years. The American College of Sports Medicine really took the lead on this topic and has driven the understanding of exercise to great heights. I am continually trying to stay current on the latest findings in the exercise community because they are changing. Some things are constants, but as the field expands, there will be those who challenge the status quo and have breakout concepts. 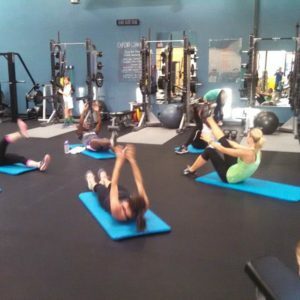 What is your go to fat burning/muscle building/rehabilitative or injury preventive exercise? For fat burning we use the Proprietary ARQ .77 routine. This sequenced exercise program really pushes the metabolic system in such a way, that it can’t help but burn fat. There is a real science to it, but generally speaking, phase one taxes the ATP/CP energy system with a series of high intensity exercises. This is then followed up with a battery of exercises that stress the anaerobic glycolytic energy system. Finally, it is finished off with a steady state aerobic component. All of which is measured so the aerobic component holds the respiratory quotient (RQ) to no more than .77 – the optimal RQ required to drive the metabolism towards the oxidation of fat for fuel. For muscle building it is all about using the big muscles with dynamic movements. The bigger the muscle means the more weight you can lift and the more you lift the greater the stress/response is to the musculature. The core lifts like the bench press, squat and dead lift are all really good. The rehab exercises very widely and are based on the clients needs. We believe very strongly in protecting the shoulder so we have all our clients spend time on the rotator cuff and scapular stability. What kinds of things do you like to do when you’re not at Body Technologies? You are always on the odd schedule as a trainer. Most of your time is spent with clients when they are off work, which means you are working when everyone else is enjoying their off time. However, I love spending time with my family. We enjoy spending time in Flagstaff and Prescott. I am also active in my church, where I enjoy going on the retreats. 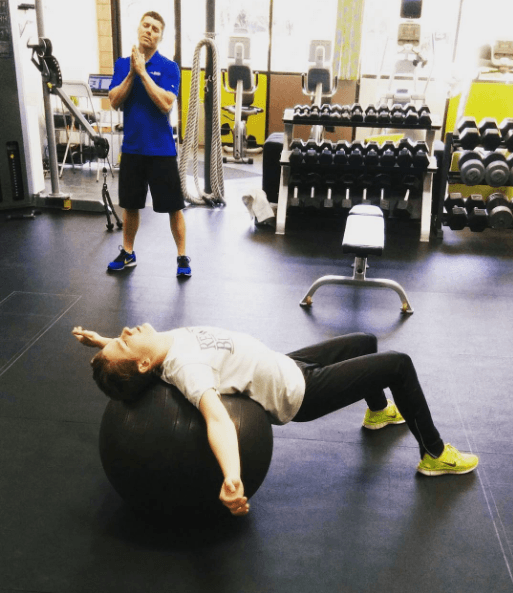 ⟵What is scapular retraction? Why is it important?